December 19 is the last day of DR Congo President Joseph Kabila’s second and final term in office. In an accord with minor opposition leaders, Kabila announced he will postpone presidential elections and stay in office until April 2018. Democracy is still possible. But action is urgently needed. The Congolese youth, opposition leaders, churches, human rights defenders, pro-democracy youth activists and citizens of all stripes are united in their demand for Kabila to respect the Constitution and leave office on December 19. We will contribute to the pressure for Kabila to step down by emailing relevant leaders in governments around the world and urging them to impose personal financial sanctions and a travel ban on Kabila, his family, and those around him who have directly subverted the Constitution and democracy. And to offer Kabila a prestigious position in an international organization after he becomes the first Congolese leader ever to peacefully leave office. 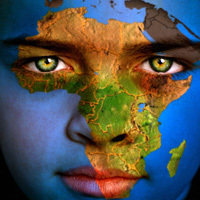 Join the global ’12 Days of Peace Action’ for the Congo. One new action every day for 12 days before Dec 19. TAKE ACTION. AGISSEZ! Conduite par le mouvement des jeunes, Lucha, les citoyens congolais de tout le pays se préparent à des manifestations non violentes le lundi 19 décembre à minuit après minuit, lorsque le deuxième mandat du président Kabila et son dernier mandat prendra fin. Les forces de sécurité d’Etat de Kabila prévoient de couper toutes les communications. Et on craint qu’ils attaquent violemment les citoyens pacifiques comme ils l’ont fait plusieurs fois auparavant. SOUTENEZ LA JEUNESSE LUCHA! DEMANDEZ À MONUSCO D’ASSURER LA SÉCURITÉ DES CITOYENS! 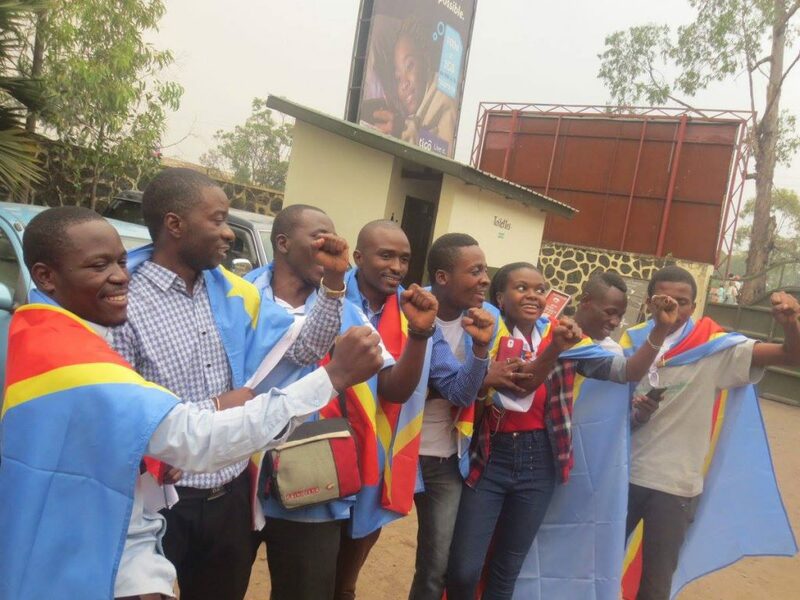 Conduite par le mouvement des jeunes, Lucha, les citoyens congolais de tout le pays se préparent à des manifestations non violentes le lundi 19 décembre à minuit après minuit, lorsque le deuxième mandat du président Kabila et son dernier mandat prendra fin. Les forces de sécurité d’Etat de Kabila prévoient de couper toutes les communications. Et on craint qu’ils attaquent violemment les citoyens pacifiques comme ils l’ont fait plusieurs fois auparavant. ACTIONNEZ MAINTENANT! 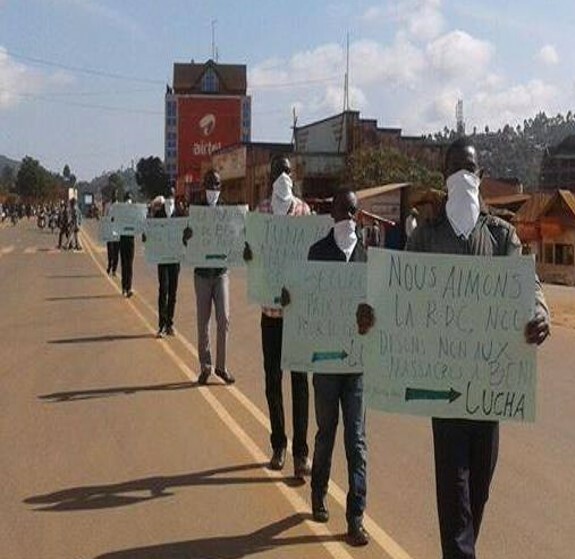 DEMANDEZ À MONUSCO D’ASSURER LES CITOYENS! 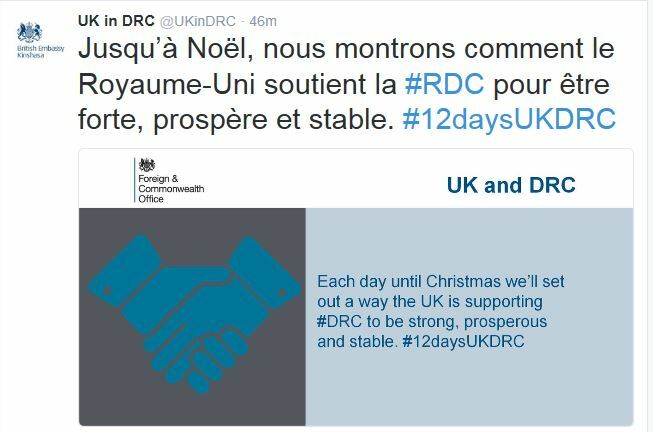 Yesterday, the UK Foreign Office launched a campaign to do one action for peace in the DR Congo every day before Christmas! Hier, le ministère britannique des Affaires étrangères a lancé une campagne pour faire une action pour la paix en RD Congo tous les jours avant Noël! 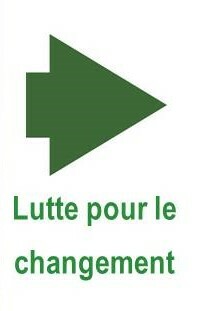 Il n’est pas trop tard. 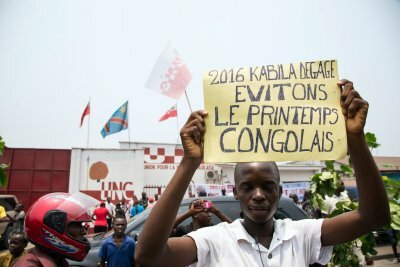 Même pendant que le CENCO poursuit le dialogue, les États-Unis peuvent faire plus pour convaincre le président Kabila de quitter le pouvoir lorsque son deuxième mandat et son dernier mandat prendra fin à minuit le 19 décembre, afin qu’il puisse y avoir un transfert pacifique de pouvoir. Plus précisément, les États-Unis peuvent faire plus pour modifier le calcul du «rester-ou-aller» du président Kabila. Vous pouvez demander aux décideurs américains 1) d’offrir au président Kabila un poste acceptable et un endroit sûr où vivre pour lui-même et sa famille … s’il se rend le 19 décembre, et 2) informer Kabila qu’il pourrait y avoir des Des sanctions contre lui-même, les membres de sa famille et ceux qui l’entourent et qui ont subverti directement la démocratie … s’il reste. Pour changer le calcul de Kabila, il est essentiel qu’il ait un chemin de sortie, une sortie. 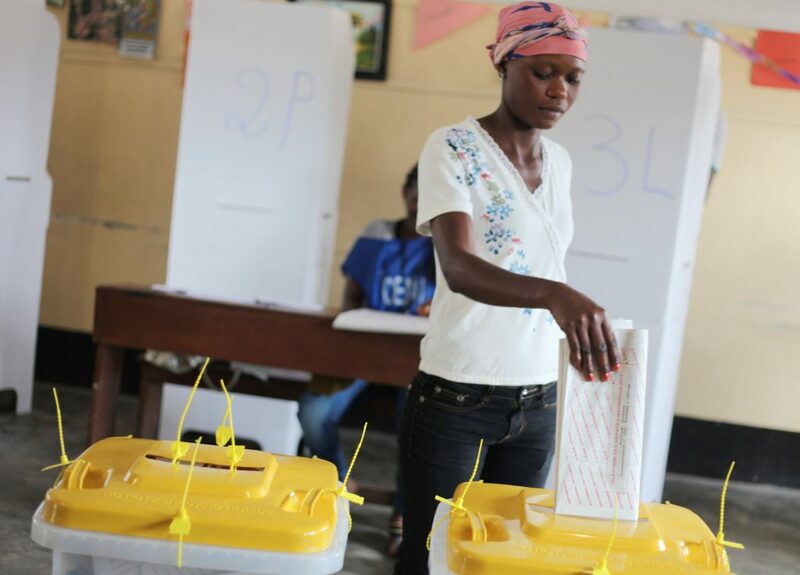 Over the past few years, the U.S. has been a vigilant and vocal advocate for democracy, peace, and human rights activists in the DR Congo. The U.S. is now actively engaged in efforts to convince President Kabila to leave office when his second and final term in office ends at midnight on December 19, so there can be a peaceful transfer of power. The U.S. can do more to shift President Kabila’s ‘stay-go’ calculation. Our campaign calls upon the U.S. to offer President Kabila an acceptable position and safe place to live for himself and his family if he goes on December 19, and to inform Kabila that there will be targeted personal financial and travel sanctions against himself, his family members, and those around him who have directly assisted in subverting democracy if he stays. To shift Kabila’s ‘stay-go’ calculation, it is critical that he is offered an exit path if he goes in addition to the threat of sanctions if he stays. On Monday (Dec 12) the EU is expected to make a decision regarding targeted personal sanctions against DRC President Joseph Kabila. 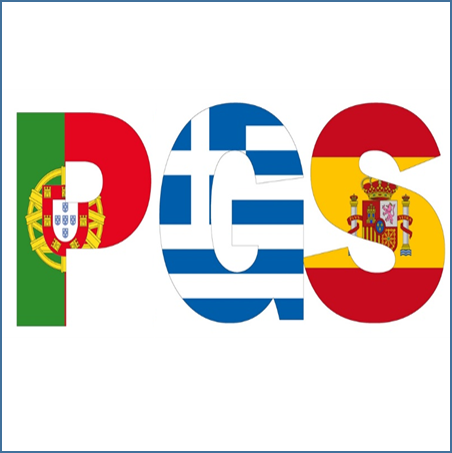 Spain, Portugal, Greece, and Italy have not yet agreed to the sanctions. The threat of targeted sanctions is critical to help change the stay-go calculus of President Kabila and encourage him to leave power peacefully on December 19 when his second and final term in office ends. 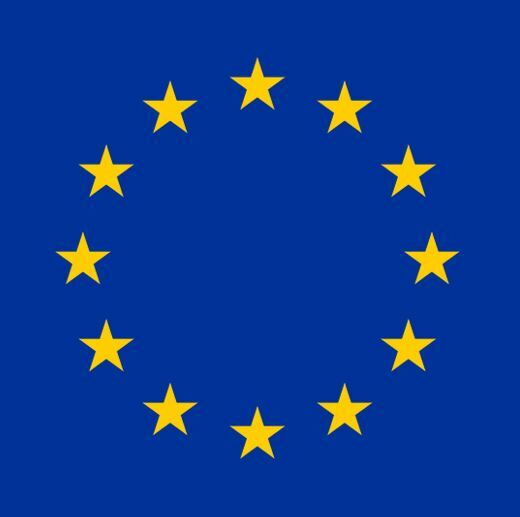 The European Union is now discussing targeted personal sanctions against DRC President Joseph Kabila and intends to announce its decision on Monday December 12. 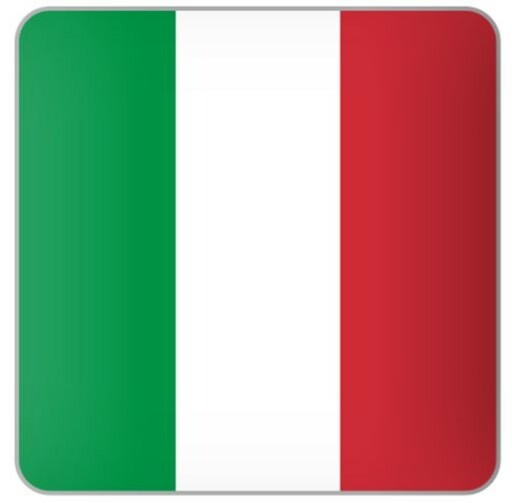 Italy is one of four countries that has not yet agreed to the sanctions. Targeted sanctions are critical to help ensure that President Kabila makes the decision to leave power peacefully on December 19 when his second and final term in office ends. You can send email and encourage Italy’s key decision-makers to support a peaceful transition in the DRC. URGE THE GOVERNMENT OF CANADA TO APPLY PERSONAL SANCTIONS AND TO OFFER AN EXIT PLAN TO KABILA! The Government of Canada has been remarkably silent regarding the DRC. As a Francophone nation, as a country that is home to many Congolese immigrants and refugee, and with the Trudeau government focus on human rights, democracy and security, this silence is surprising. 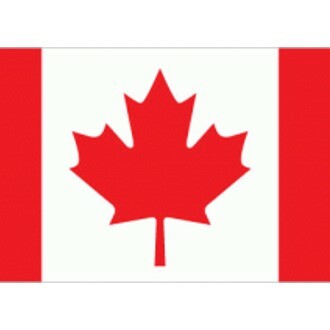 Let’s get Canada involved!! The more countries applying sanctions, the more effective they will be. Take action. Email Canada’s Minister of Foreign Affairs. URGE THE EUROPEAN UNION TO APPLY PERSONAL SANCTIONS AND TO OFFER AN EXIT PLAN TO KABILA! The EU has been very vocal in its support of human rights and democracy in the DRC. But with so little time left until President Kabila’s last legal day in office, December 19, it is imperative that the EU take the next step and immediately impose personal financial sanctions and a travel ban on President Kabila, his family, and those around him who have directly subverted the Constitution and democracy; support a full amnesty for Kabila, and help find an acceptable ‘exit’ option for after his presidency. Every person like you who takes action really does make a difference. This is because Pragmora has a unique, customized interface that allows you to email key leaders directly. No petition. Your message goes right into the email inbox of the target leaders. AND we have selected leaders who are in positions to make change happen. Click on an action to see how fast, easy and effective this is.